Grocery has always been a tough part of the retail landscape, but competition is now intensifying, exerting pressure on many established players. Kroger, which remains the U.S.’s second-largest grocer after Walmart, isn’t taking the challenge lying down. Management is working hard to defend market share and is innovating to ensure future relevance. In its latest quarterly results, Kroger posted comparable sales growth of 1.5%. 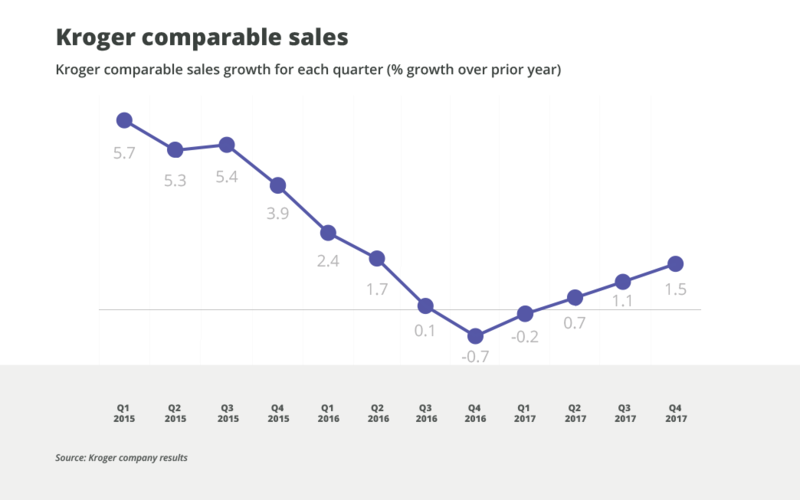 Although this is a long way down from the kind of numbers Kroger was posting three or so years ago, it represents solid progress since the start of the fiscal year, when the company reported negative same-store sales. The growth also needs to be seen in the context of how hard it is for a company of Kroger’s scale to engineer even a modest rise. The challenge to secure even a small sales uplift is an indication of the pressure in today’s grocery market. This market has shifted from an environment of moderate inflation and steady growth to one of deflation, fierce price competition, and, in some locations, overcapacity. Kroger, which serves a vast swath of America, is very exposed to these dynamics. Fortunately, the company has responded positively, seeing the challenges as opportunities rather than threats. Here are five things Kroger is doing to drive growth, strengthen its business, and win the grocery wars. 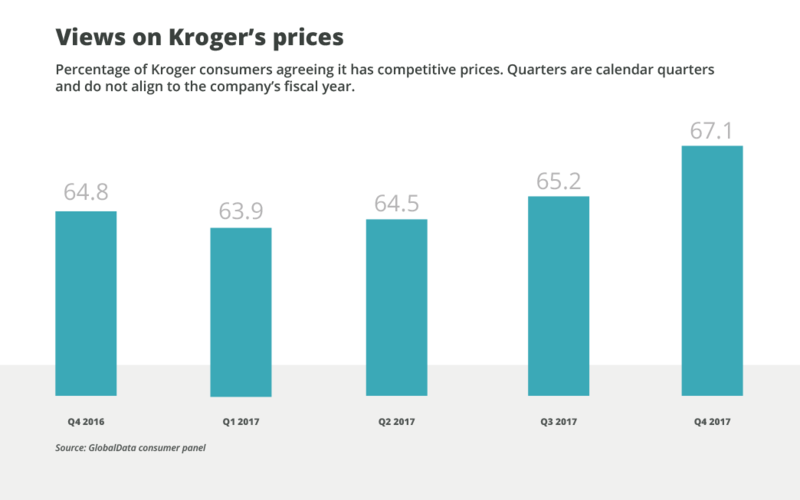 Kroger’s first weapon of choice has been price cuts, something that impacted the company’s gross margins, which fell by 40 basis points in the latest quarter. As painful as this is to the bottom line, it is a necessary evil if Kroger is to maintain its competitiveness and dominance in the grocery sector. The good news is that the strategy appears to be paying off in terms of sales and customer perceptions of price. While price pressure looks set to continue, Kroger is in a much better position to weather this storm than many other players. Its size and scale afford more flexibility on pricing and provide more scope for cost savings elsewhere in the business to offset such reductions. Even though it is useful, Kroger’s size is not its most potent advantage. What really sets it apart is the extensive amount of customer data it has access to and can leverage – something that helps it create customer-centric products and propositions. In pricing, for example, having access to customer data allows Kroger to make blanket price cuts where necessary and then to layer targeted cuts, personalized for individual shoppers, on top. In this sense, Kroger can deliver value without wasteful and misdirected margin erosion. An example of this strategy is Kroger’s My Magazine mailer. There are now over six million variants of this publication, each personalized to the tastes, preferences, and needs of individual shoppers. This approach helps secure loyalty both through targeted offers and low prices, as well as via messaging that activates customers. Innovation has arguably always been something at which Kroger has excelled. From the reinvention and reconfiguration of store environments to the push into organics and healthy foods via its Simple Truth brand, Kroger is a company that moves and changes in response to shifts among consumers and competitors. This innovative drive is now focusing more on digital, including e-commerce. Kroger is in the process of extending its ‘order online, collect in store’ service, which is now available at over 1,000 locations. Home delivery is currently available at over 300 locations. In other areas like digital couponing and its mobile app, Kroger is making steady progress and is now connecting with more customers than ever before. In a market where consumers are still price-sensitive and are responsive to offers and deals, this allows Kroger to drive traffic and sales in real time. Most exciting, however, is the combination of the immediacy of digital engagement combined with the deep level of insight Kroger has on its shoppers. This makes Kroger an advanced player in personalization and customer engagement. "Kroger is a company that moves and changes in response to shifts among consumers and competitors." Although digital innovation is usually associated with online shopping, Kroger is also finding new ways to leverage technology in its stores. The Kroger Edge project, for example, involves replacing traditional shelf-edge tickets with digital ones. Not only does this save time when making pricing changes, but it also allows Kroger to shift prices instantly in response to demand. 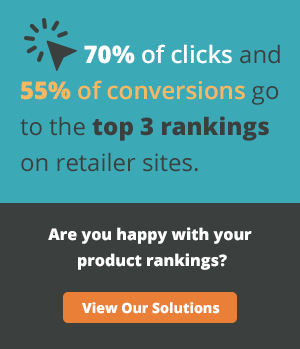 What’s particularly impressive is that rather than just seeing this as a tool to improve operational efficiency, Kroger is also looking to use it to enhance the customer experience. The digital shelf-edge tickets, for example, can display additional product information, such as nutritional details and educational videos. Eventually, they will also integrate directly with customers’ smartphones. This means that as shoppers walk down an aisle, the tickets for items on their digital shopping lists will light up. Finding a particular item on a shelf crowded with products will become much easier with this ‘signaling’ technology. Unlike so many technology ‘solutions’ that are seen as gimmicky, Kroger’s innovation is viewed as useful and beneficial by customers. While grocery will always be the mainstay of Kroger’s business, the company hasn’t been afraid to explore opportunities outside of this core offering. Initiatives like the Kitchen 1883 concept, an in-store restaurant focusing on American comfort food, are closely allied to the grocery proposition. Others, such as the launch of an owned-label clothing brand, are more removed from Kroger’s traditional expertise. What both innovations have in common is a desire to diversify away from the low-margin supermarket business and to give consumers reasons to visit Kroger that go beyond buying groceries. The success of these ventures remains to be seen. However, the fact that Kroger is trying and testing new things augurs well for the future. There is no doubt that the grocery sector has reached an inflection point. Saturation, competition from deep-discounters, lower margins, and the rise of online threats are all taking their toll. In short, this is an environment of lower, slower growth. Despite some short-term pain, Kroger is using this period of change to strengthen and renew its business and is doubling down on its efforts to generate growth. Unlike many other players, it has the financial muscle to weather this storm and, as a result, should emerge as one of the future winners.